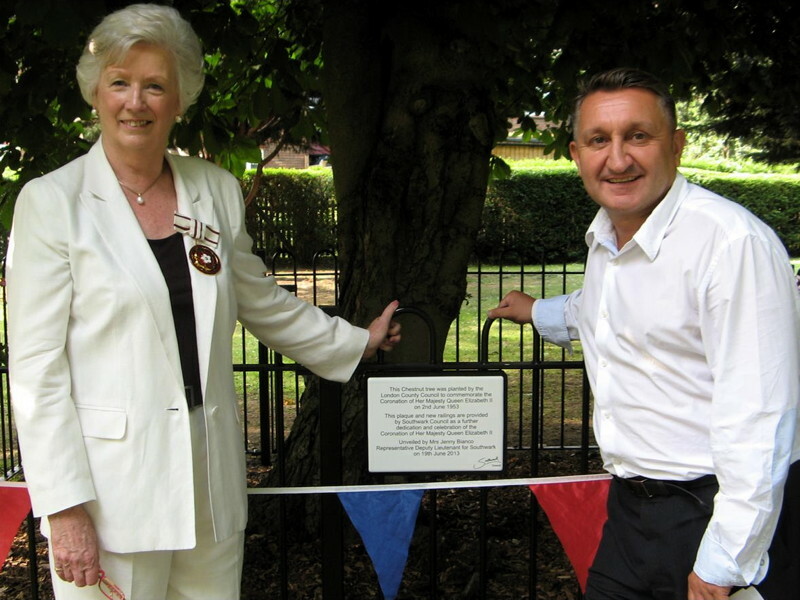 A chestnut tree planted by London County Council in Southwark Park in 1953 to mark the coronation of Queen Elizabeth II has been rededicated to mark its 60th anniversary. The rededication ceremony took place on 19 June which also coincided with the 140th anniversary of the opening of Southwark Park. 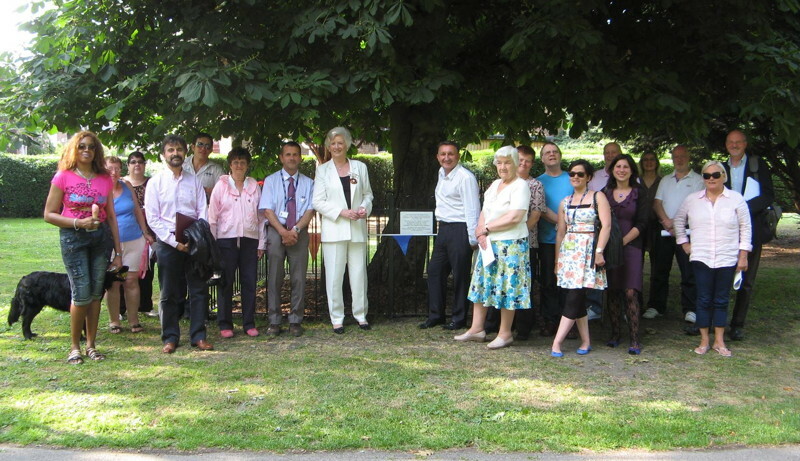 A plaque and new railings were unveiled by Jenny Bianco, deputy lieutenant for Southwark. He said that the 60-year-old tree is “as strong as ever” even though it was nearly lost in the great storm of October 1987.